114 Nail Polish Remover is perfectly formulated to remove nail polish safely without drying out nails. It contains special blends of Aloe Vera and vitamins that help restore nails keeping them strong and healthy-looking. 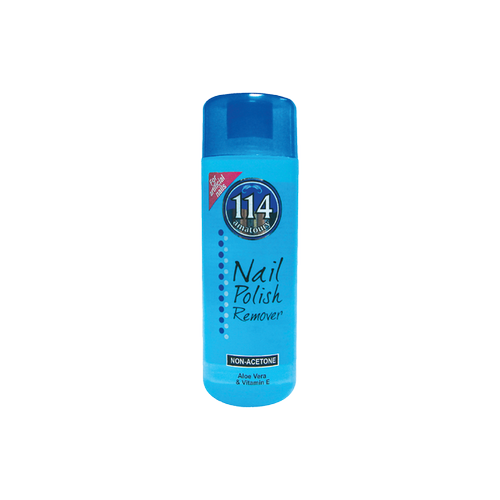 Because artificial nails also need their gentle removal product, Amatoury 114, also made this option available through a Non-Acetone remover, made from top quality ingredients that are soft on the nails. The product that helps rebuilding and conditioning your nails through a formula of Aloe Vera & Vitamin E, also comes in an easy to use pump-up bottle. 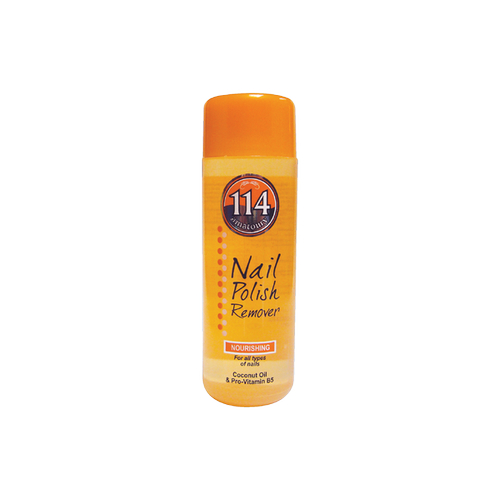 Nails get weaker by the day, due to dry weather conditions and repetitive manicures; this is why Amatoury 114 formulated a strengthening acetone for weak and brittle nails. 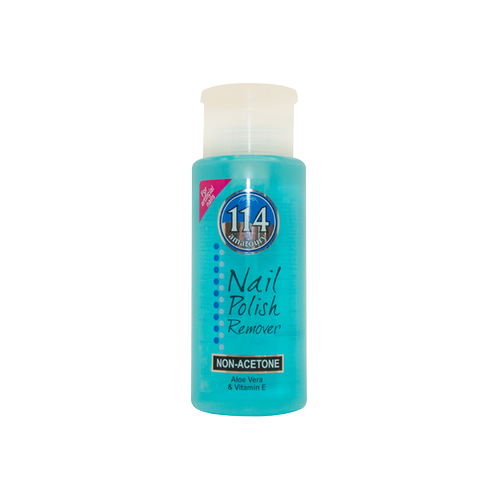 Our strengthening acetone comes in an easy to use pump up bottle and is concentrated in Almond Oil and Vitamin E, which makes removing your nail polish a healthy experience. Sometimes, harsh treatments cause the nails to become weak and damaged. 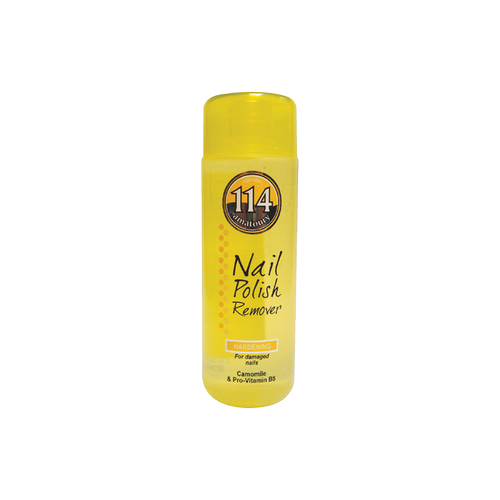 Amatoury 114 formulated a special nail polish remover with chamomile and Pro-Vitamin B5 that prevents damage and keeps your nails healthy year round. Nails get weaker by the day, due to dry weather conditions and repetitive manicures; this is why we formulated a strengthening nail polish remover for weak and brittle nails. It is concentrated in Wheat Protein and Vitamin E, which makes removing your nail polish a healthy experience. All types of nails need to be constantly nourished to stay strong and endure continuous manicures. Our Nourishing nail polish remover, concentrated in Coconut Oil and Pro-Vitamin B5, keeps your nails strong and ready for glamour. Constant manicures and environmental conditions cause nails to become dry and brittle; this is why it is important to keep them moisturized. Amatoury 114 has its own moisturizing nails’ product which doubles as a classical remover concentrated in Almond Oil and Vitamin E.